Hello, friends! Don't be startled. This is, in fact, Gizmodo. It just looks a little different now. And works so much better. Some of the changes you're seeing here are obvious, and are already familiar if you’ve been to one of our sister sites lately. What you’re looking at is what we call Kinja, a layout that harkens back to our bloggish beginnings, with an infinitely scrolling stream of stories to more effectively waste your day away. There’s no more sidebar, no more single post anchoring the page. It’s just a never-ending well of wonderful. But Kinja's not just skin-deep. It's a platform, an entirely new way of writing and reading and interacting on the internet. It's going to be as good as you make it. Which means it's going to be great. Are you a current Gizmodo commenter? Congrats! You have a Kinja blog all set up and waiting for you where your profile page used to be. Don’t have an account yet? No worries; just ease your mouse on over to the upper right-hand corner, where yourhilariouspun.kinja.com is just a few clicks away. You, too, can Kinja. Once you’re up and running, you’ll have access to the exact same set of tools we work with on a daily basis, up to and including some fancypants new image annotation. You can write about whatever you want on your Kinja blog, as often as you want, with as many cusses as you want. Your comments on other Kinja blogs will show up there, too. But the most important thing to know about Kinja is that it’s yours to do with as you please. There are already Kinja blogs for Lego and Kinja blogs for space and Kinja blogs for food. Want to write a Kinja about ninjas? That's still available (for now). In addition to publishing your own posts, you can also share posts from any other Kinja blog (including Gizmodo!) on yours, follow other users to see what they're up to, and be followed by them. The same goes for us; if you write something particularly insightful, or dig up a compelling image, or make the best Steve Ballmer joke, we can put it on Gizmodo—with your byline fully intact. Oh, and if you just want to comment? That’s fine, too. You can still follow and be followed, you can still annotate images, you can still deploy well-timed GIFs. We’ve tidied up the formatting so that good conversations float to the top, while trolls get banished to limbo. And we’re finally clearing out the spam. How does it work? You can read more about it in our FAQ entry on the subject, but the short version is that comments need to be approved by editors—or trusted users—before they can become part of the general discussion. That way we end up with all wheat, no chaff, just right. If any questions pop up along the way, you can check out our full FAQ page. Run into an error or a bug? Ping help@gawker.com, or take it up with the help desk. They're at your beck and call. We’re treating Kinja as more than just a fancy new set of pajamas. We’re using this as an opportunity to return Gizmodo to its roots. 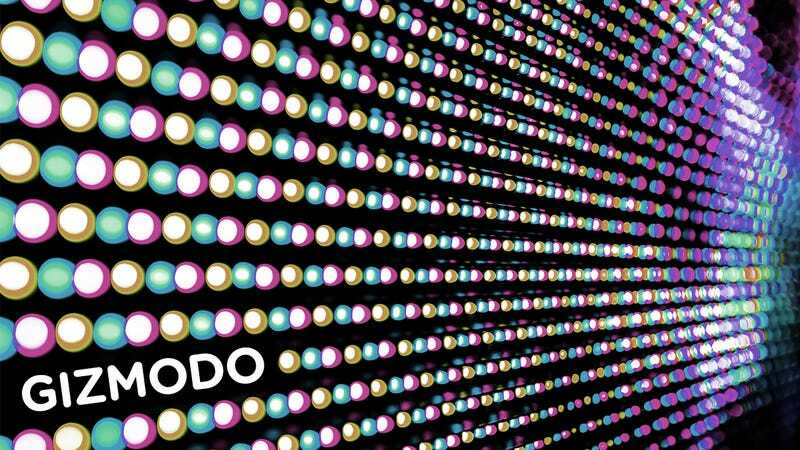 Gizmodo has always, at its core, been about just one thing: Finding—and sharing—the beautiful, inventive, awe-inspiring objects and ideas that shape the world around us. We’ve drifted from that lately; as so much hardware has become commoditized (read: dull) we’ve filled that void with fits and spurts of increasingly tangential noise. That’s going to change. There are still powerful stories to tell in technology, and we’ll continue to tell them. But we’re going to focus in on what’s truly transformative, on what we see and feel and how we interact with it. We’re increasingly going to view the world through the lens of design, and how it impacts everything from the nanoscale, to wearables, to individual buildings, to the city at large. We’re not just going to show you objects. We’re going to explain how they got to be the way they are—and maybe what they should have been, instead. That rejuvenation only starts with us. Being a commenter here used to mean being part of a thriving community. We've lost some of that, and we'd like your help getting it back. To that end, we're rekindling White Noise, a long-time gathering place for the Gizmodo faithful that’s been too dormant for too long. Get in there, make friends, tell jokes. A few of our most cherished commenters are posting there actively already, and we'll be inviting more over the next several days. Eventually, it will be run entirely by you. As it should be. And don’t worry. For all the changes around here, we’ll doggedly continue to stress-test keyboards by eating giant Cheetos and help David Pogue find his iPhone. This is still Gizmodo, after all.